You’ve got to know how to crochet a scarf, because the absolute best scarves are crocheted! Whether it’s for warmth or beauty, a crochet scarf is always the perfect accessory. They can go with any outfit and can be worn year round. Plus, they are just so simple to make. Do I say that about a lot of crochet projects? Well, that’s because it’s true. 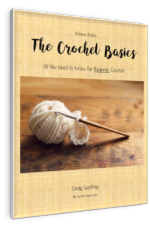 Once you have the basic stitches down, you can crochet just about anything, but scarves, scarves are especially easy to make. 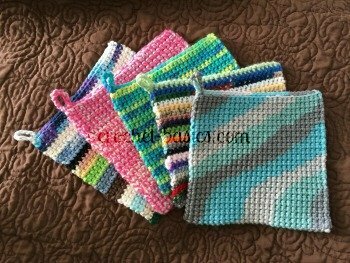 You will find all kinds of patterns for scarves out there, from elegant to cozy, but you can also create your own pattern for a crochet scarf. Or, you may just want to alter a pattern a little to make it more your own. It’s easier than you might think. Crochet scarves can be made from just about any type of yarn or thread depending on the result you want. You can choose any stitch or combination of stitches to create your scarf. They can be worked in rows across the width of the scarf or they can be worked in rows the length of the scarf. It will look great either way while giving you completely different looks! They can also be as wide or thin as you’d like too. Want a thinner scarf; just reduce the stitches or rows. It’s that simple! You can add fringe to the ends of your scarf (or not). You can also make an infinity scarf. This can be done by working the scarf in continuous rounds or by completing the scarf and connecting the ends together. Those are just a few reasons why crochet scarves are so great! So, learning how to crochet a scarf is a must, especially if you’re creating your own pattern or tweaking a pattern to your own tastes. Learn this great pattern here and just have fun with it. If you want a simple, yet fun pattern to try, I have one for you right here. This step-by-step on how to crochet a scarf is a really good one to start you off. It’s a fun scarf with a little texture to it and a great scarf for beginners (or any level of crocheter, really). I’ll be using 2 different colors of yarn with one simple pattern repeated throughout. I used worsted weight (4) yarn. Red Heart Super Saver works great. I also used a “K” hook. Remember, you can use whichever size meets your desired results. *Ch 1, sc in 1st stitch. Repeat from * to * across. *ch 1, sc in next ch 1 space*. Repeat Rows 9 – 17. At this point there should be 24 sections color A, each with 4 rows. There should also be one section of color A with 3 rows at the beginning of the scarf. There will be 25 sections of color B, each with 5 rows. You will be working the last 3 rows with color A as follows. You do not need to weave in your ends if you are going to attach fringe to the ends. They can just be added to your fringe. If you don't want fringe on your crochet scarf, then weave in your ends and you're done. Now you know how to crochet a scarf! Here is how to add some fringe to the ends of your scarf for a fun finish. Cut 39 strips of yarn 14” long. Take 3 strips of the yarn and fold in half. Insert hook through the first end loop (on the first row) or the first chain (on the last row). Pull the 3 pieces of yarn about an inch or two through the loop. Pull the ends of the yarn through the loop you made and gently tighten the fringe. Add fringe to every other stitch across the end of the scarf. There should be 13 groups of fringe on each end. Lay the fringe flat and trim them with scissors to even them out. That’s all there is to making a great scarf! 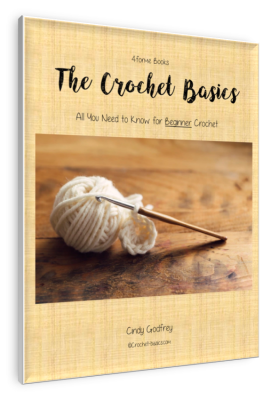 Now you can tell everyone that you know how to crochet a scarf! Have fun making your own and experiment with new stitches and designs! Stop back and tell me all about them!